excited about hitting the links. If you’re a golf enthusiast, it’s likely that if you haven’t been out to a local course already, you’re dying to dust off the clubs and tee off! Whether you enjoy the game of golf casually or competitively, this is certainly a great time of year for hitting the greens. And what could be more fun than a family getaway to Branson, Mo.—home to some of the finest golf courses in the Midwest? Sounds like paradise to us! Stay in Branson offers vacation rental condos that are perfect for this kind of getaway. Our properties are part of the Point Royale Resort, which is home to Branson’s first championship golf course. Your family can relax by the resort pool or take a ride on Branson’s famous Ducks while you enjoy a day on the links. Then, in the evenings, you can enjoy family bonding time by taking in a local show. 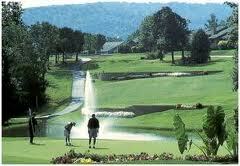 Beyond Point Royale’s famous course, Branson offers many challenging courses for golfers of all levels. Popular options include the Payne Stewart Golf Club, which pays homage to the Missouri golf legend, and the Branson Creek Golf Club, which has received national recognition in both Golf Digest and Golf Magazine. For more Branson golf options, visit the Branson Tourism Center. So what are you waiting for? Load up the family or a group of friends and escape to Stay in Branson for a weekend of fun on the course. After all, spring only comes around once a year. Take advantage of it and book today! Once you take your first swing, you’ll know you did the right thing.